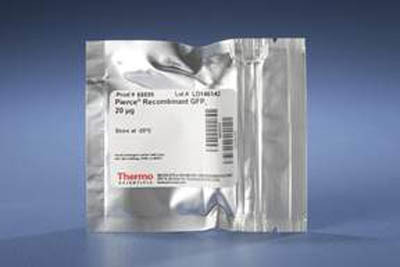 Rapidly express full-length, functional proteins from mRNA or plasmid templates with yields of up to 100µg/mL per reaction using these cell-free kits. The Human IVT Kits are unique HeLa cell lysate-based protein expression systems for in vitro translation or coupled transcription/translation reactions. Protein expression is performed in a single 90-minute reaction that can be extended for up to 6 hours with continued protein production up to 100μg/mL when combined with the optimized pT7CFE1 Expression Vector. The Human IVT Kits can express functional enzymes, phosphoproteins, glycoproteins and membrane proteins for immediate use in studying protein interactions, performing rapid mutational analysis and measuring activity.